A federal judge in Argentina has deemed the death of a prosecutor who accused high-ranking government officials, including the former president, of covering up Iran’s involvement in the nation’s deadliest terror attack as an aggravated homicide. 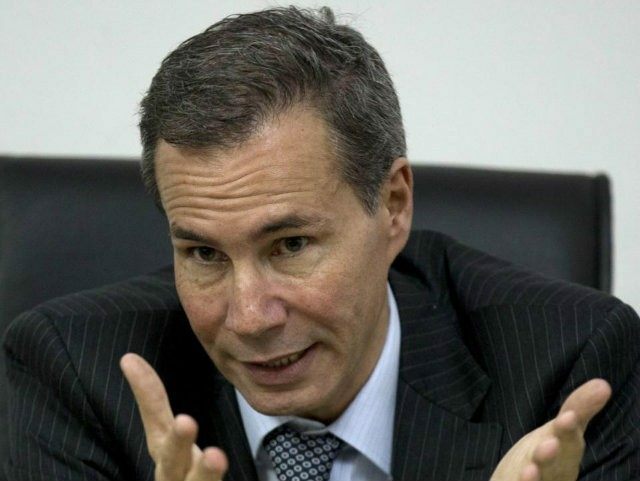 “The death of Prosecutor [Alberto] Nisman was not a suicide, and was brought about by a third party and in a painful manner,” Judge Julian Ercolini noted in the ruling. The judge’s verdict marks the first time an Argentine judge has described the death of public prosecutor Alberto Nisman as a murder. Lagomarsino, an IT security expert who worked for Nisman, has insisted that the prosecutor requested his gun. Authorities have also accused several government officials, including former president and current Argentine senator Cristina Fernández de Kirchner, of breach of duties and cover-up in connection to the Iranians accused of the 1994 attack on the Jewish center in Argentina—Asociación Mutual Israelita Argentina (AMIA). Iran’s narco-terror proxy Hezbollah is widely believed to have played a pivotal role in carrying out the terrorist attack with backing from Iran. Former President Fernández de Kirchner and her supporters have long argued that Nisman killed himself. Nisman allegedly discovered that the former Argentine president and her Foreign Minister Héctor Timerman concealed Iran’s involvement in what was considered the deadliest terrorist attack in the Western Hemisphere before 9/11, all “to boost trade—specifically, oil imports and grain exports—with the Islamic republic,” notes CNN. The Fernández de Kirchner administration maintains its innocence.